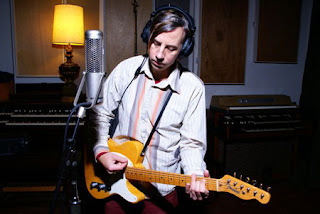 KXCI On The Air: John Vanderslice - Studio 2A & KXCI Presents! Friday, May 27th, John Vanderslice stops by for an in-studio performance on The Home Stretch, before playing a KXCI Presents! show at Club Congress. Catch that Studio 2A set at 5:30pm on KXCI 91.3FM. Doors open for this early Club Congress show at 6:30pm with Leslie Stevens and the Badgers. Over eight solo albums, John Vanderslice has displayed a wide scope of innovative indie-rock songwriting. Many of John's albums have been featured here on Your Morning Brew, The Music Mix and The Home Stretch over the last decade.